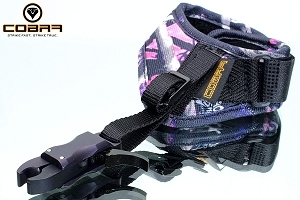 Cobra All-Adjust Archery Release Aid, in Muddygirl Pink Camo! SALE! 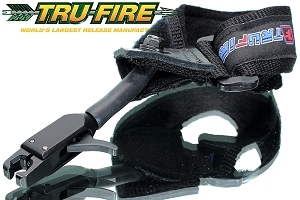 TruFire Patriot Junior Velcro, FOR A GREAT START & A GREAT HUNT! 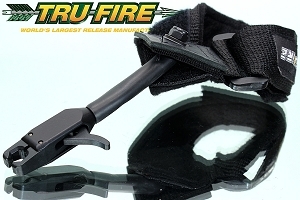 TruFire Patriot Caliper Release, RELIABLE, SIMPLE & ACCURATE! 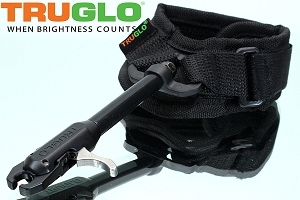 TruGlo Speedshot XS Caliper Release, BEST BUY ENTRY-LEVEL RELEASE! 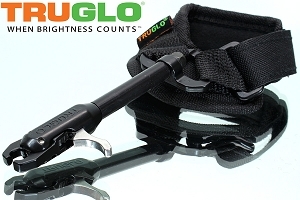 TruGlo Speedshot XS Caliper Junior Release, FOR SMALLER HANDS! WHAT IS A MECHANICAL RELEASE? A mechanical (trigger) release is a tool which fastens around your wrist and clamps to the bow string at the nocking point. A small set of spring-loaded metal jaws, like a little set of pliers, hold onto the bow string for you, so you don't have to use your finger tips. When you're ready to fire, you release the bow string by depressing a trigger (instead of just letting go). The little jaws open and the bow fires. They're simple yet ingenious devices. DO YOU HAVE TO USE A MECHANICAL RELEASE? No. If you would rather use the traditional "finger-shooter" method, you certainly can. 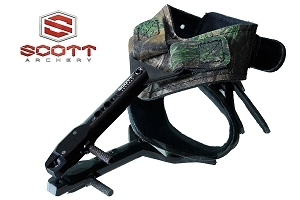 A mechanical release is decidedly an optional accessory - even for modern compound bows. Some archers still prefer a traditional style of shooting (believing the technique to be more "authentic"). 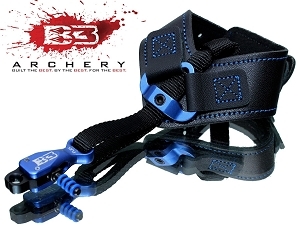 Nevertheless, mechanical releases are the overwhelming standard among modern archery enthusiasts and bowhunters. A mechanical release offers the kind of repeatable consistency and accuracy that finger shooting typically does not. The average archer will be significantly more accurate when using a mechanical release. 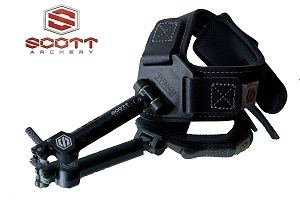 There are many different styles of mechanical releases on the market, but bowhunters tend to use the "wrist release" almost exclusively. Choice varies by personal preference and feature sophistication, but popular models are the Scott Little Goose and the Trufire Edge.